Scroll down to see more articles about the history of WW2 armies. The following is a guest post from Warfare History Network. You can view the original post by clicking here. Dunkirk, Christopher Nolan’s latest film, has wowed critics since it hit theaters in the U.S. last week, and for good reason. The amazing depiction of three unique and interlocking perspectives on the Battle of Dunkirk does a great service depicting the realities of Operation Dynamo. What all does Dunkirk get right? Here are four of the most interesting facts about the Battle of Dunkirk that the film shows. WW2 Armies-The cost to British vessels, civilian and military, was high. Over 200 ships were lost during the Dunkirk evacuation. These included a number of destroyers and other Royal Navy vessels that were invaluable to the defense of Great Britain from seaborne invasion (Operation Sea Lion) and the U-boat menace, which threatened to literally starve Britain into submission. On May 29th, the Royal Navy lost destroyers Grafton, Grenade, and Wakeful off the coast of Dunkirk to E-boats and aircraft. Destroyers Basilisk, Havant, and Keith were lost on June 1st to the Luftwaffe. Between May 29th and June 1st, the Royal Navy also lost the river gunboat Mosquito, along with five minesweepers; Brighton Queen, Devonia, Gracie Fields, Skipjack, and Waverley. 5,000 soldiers lost their lives during the evacuation, either on the beaches or at sea. Civilian casualties, while lower, reflect the dangers that ordinary merchant seamen and private citizens faced: 125 lost their lives, and 81 were wounded. The majority were merchant seamen, with civilian volunteers making up only four killed and two wounded. Civilian participation was significant: a total of 700 ‘little boats of Dunkirk’ helped lift over 300,000 French and British soldiers trapped at Dunkirk. In the film, the perils of the operation for civilians and soldiers take center stage. Dunkirk is, in many ways, not an action film but a survival film. Germans are rarely seen, and scenes of battle always lie in the context of the greater fight to save lives. As such, the film makes the viewer conscious of every casualty. Horizons scarce of Royal Navy vessels remind the viewer of the indispensible nature of each ship, and each vessel lost, with dozens of men onboard, is gut wrenching. Early RAF gun sighting meant Spitfires had to engage targets up close and personal. However, early in World War II, RAF fighter pilots found it difficult to fire their machine guns accurately. This was due to the fact that their machine guns were sighted at a distance greater than their guns’ range. As opposed to German aircraft like the Messerschmitt Bf. 109, which had machine guns located on the nose of the aircraft, the Supermarine Spitfires and Hawker Hurricanes of the RAF had their guns located on their wings. This meant that the angle of the machine guns needed to be adjusted so that each wing’s guns would converge at a point corresponding to the pilot’s sight picture. This process was called gun harmonization. Early in the war, the RAF harmonized its guns to a range of 600 meters. Unfortunately, this was well beyond the accurate range of the RAF’s machine guns. As a result, pilots began informally harmonizing their machine guns at 250 meters during the early days of the war. In Dunkirk, you can see gun harmonization in action. In one scene, an RAF pilot engages with a Heinkel 110 bomber. In order to put accurate fire on the aircraft, the pilot maneuvers his Spitfire very close behind the German bomber and aligns his sights on the bomber’s tail. With a burst of fire, the bomber goes down. However, as you can see in the film, the rounds strike the bomber’s engines, located on its wings, and not the central aim point. This is an accurate depiction of how early gun harmonization forced pilots to bring their planes up close to German aircraft and of where the rounds would make impact, alongside the aim point, not on it. French troops were evacuated last by British ships. In the film, French troops are denied boarding on British ships as they fight in the town of Dunkirk to cover the predominantly British evacuation. By the end of the film, however, pier-master Commander Bolton announces to a withdrawing British officer that he intends to stay on the beach to evacuate the remaining French soldiers. In the real evacuation, British ships did not evacuate French soldiers to an equal extent as British soldiers until June 1st. By then, 200,000 British and French soldiers had already withdrawn, well exceeding the original target of 40,000 troops. The French, however, were being evacuated at Dunkirk by French vessels prior to the change in British policy. The French defense of Dunkirk in order to protect the beaches is also accurate. By June 2nd, only 4,000 British rearguard remained on the Dunkirk beaches. In the town, however, 40,000 to 60,000 French soldiers continued to defend the beaches. The evacuation was a logistical nightmare. Due to intensive bombing from the Luftwaffe, Dunkirk’s docks were declared unusable. The only choice the Allies had was to evacuate soldiers from the beaches of Dunkirk. The operation presented incredible challenges for Allied command. The shallow water of the beaches made it impossible to load soldiers onto larger ships, making evacuation slow and tedious. The two moles that protected Dunkirk harbor presented options for British commanders who sought a way to accommodate larger ships in the evacuation. While the west mole was too shallow, the end of the east mole was deep enough to accommodate larger ships. Throughout the evacuation, the east mole was the only way to evacuate soldiers directly onto large ships like destroyers and steamers. The importance of the mole was not lost on the Germans, who put this last hope of Allied evacuation under artillery fire. The film captures the importance of the mole excellently. The mole is depicted as the last hope for the British troops on the beaches. British soldiers pack tightly onto the boardwalk in spite of their exposure to heavy bombardment from the air. A direct hit on a vessel sends it listing, placing the embarkation point at the mole in peril. Instead of saving the soldiers aboard the ship, the pier-master orders the ship moved: the mole is simply too important to lose. The following article on Operation Pedestal is an excerpt from Barrett Tillman’s book On Wave and Wing: The 100 Year Quest to Perfect the Aircraft Carrier. It is available to order now at Amazon and Barnes & Noble. During the summer of 1942 the British Fleet Air Arm (FAA) was increasingly concerned with fighter direction in multi-carrier operations. Early in August its ships Eagle, Victorious, Indomitable, Furious, and Argus trained together, anticipating further operations in support of Malta. That month Eagle, Furious, and Indomitable joined Convoy WS 21S for Operation Pedestal, sending fourteen freighters and tankers to Malta. Supported by battleship Nelson and battle cruiser Renown, it was one of the most powerful units yet deployed to “the Med.” Furious embarked Spitfires for Malta, but the other two carriers had protective Sea Hurricanes and Fulmars. On August 10 the convoy was spotted by Axis aircraft that alerted U-boat Command. Eagle had escaped an Italian submarine in July, but on August 11, south of Majorca, U-73 slipped past the destroyer screen and fired a devastating spread of torpedoes. All four slammed into Eagle’s twenty-four-year-old hull, sending her down in less than eight minutes. Destroyers rescued 1,160 men of 1,291 aboard. Furious launched her fighters for Malta, then reversed helm, mission accomplished. But Pedestal turned into a slugfest. Throughout August 12 the Luftwaffe and Italian Regia hammered at the convoy, pressing repeated bombing and torpedo attacks. The sky at first sight seemed filled with aircraft. The enemy kept in tight formation and our fighters snapped at their heels, forcing them to break in all directions. One Junkers turned away from the main group and I led my section down towards it. I was well ahead and fired when it filled my sight. Smoke poured from its wings and it disappeared below me into the sea. A few minutes later I saw another Ju 88 out of the corner of my eye, heading along the coast of North Africa, so I set off in pursuit by myself. At 1,000 feet I came within range and fired. It seemed to stagger in the air, then dropped into the sea with a big splash. Cork flew three more sorties that day, claiming three more victims. He became the FAA’s top fighter ace with thirteen victories, but died flying a Corsair at Ceylon in 1944. That afternoon a Staffel of Stukas got past the depleted combat air patrol and dived on Indomitable. They hit her twice and scored three damaging near misses. One of her Sea Hurricane pilots, SubLieutenant Blyth Ritchie, launched at the last moment. Latching onto the retiring Stukas, he splashed two. “Indomit” shaped course for the East Coast of the United States for full repairs. Without effective air cover, WS 21S was battered that night and the next day. 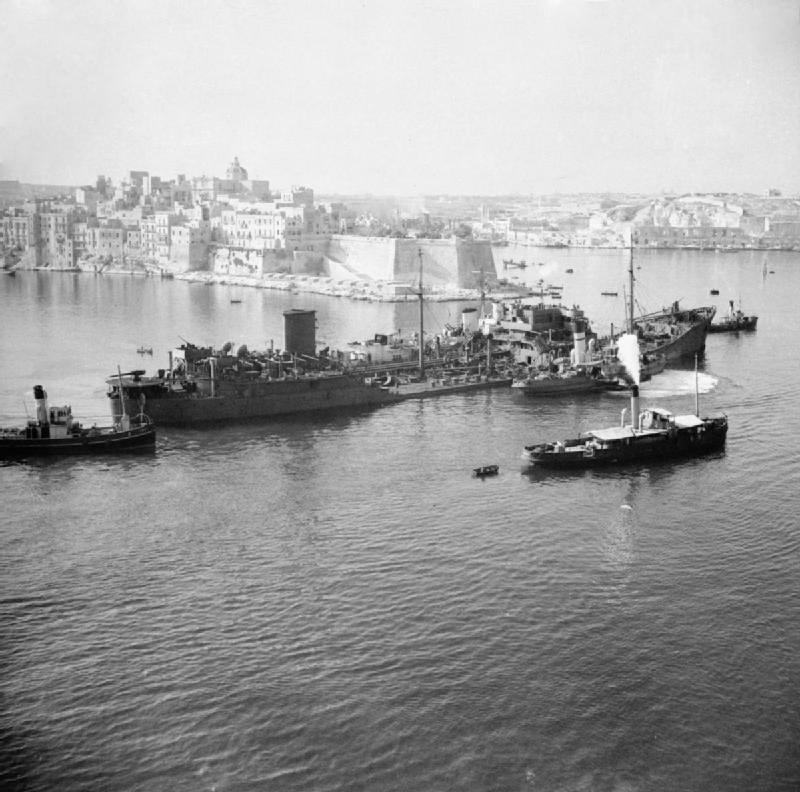 Axis bombers and torpedo boats sank eight ships, leaving five to reach Malta, two barely afloat. Two light cruisers and a destroyer also were lost, but the twenty-nine thousand tons of supplies offloaded meant that Malta would survive. 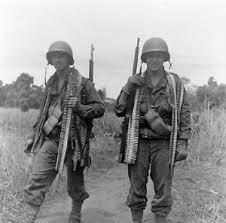 In the U.S. Army, an infantry regiment was composed of three battalions, each with three rifle companies, a headquarters company, and a heavy weapons company. In early 1944 personnel strength was typically 150 officers and three thousand men. An airborne regiment consisted of 115 officers and 1,950 men. By 1944 U.S. armored divisions had three tank battalions rather than the previous two regiments. An armored battalion typically possessed forty officers and seven hundred men, with fifty-three Sherman medium tanks and seventeen Stuart light tanks. First Division: Sixteenth, Eighteenth, Twenty-sixth Regiments (Omaha). Fourth Division: Eighth, Twelfth, Twenty-second Regiments (Utah). Twenty-ninth Division: 115th, 116th, 175th Regiments (Omaha). Eighty-second Division: 505th, 507th, 508th, 325th Glider. 101st Division: 501st, 502d, 506th, 327th Glider. The regimental system was deeply ingrained in the British WW2 armies, with some units tracing their lineage back three hundred years. For instance, the King’s Own Scottish Borders in the Third Division had been established in 1689. However, owing to varying overseas service and the inevitable need to mix and match for specific operations, few British regiments fought as such. The situation was further complicated by the fact that many regiments possessed only one or two battalions. Consequently, a British brigade usually was of regimental strength, with unrelated battalions serving together. In 1940 a full-strength British infantry brigade consisted of seventy-five officers and 2,400 men. Third Division: Eighth Brigade (First Battalion, Suffolk Regiment; First Battalion, South Lancashire Regiment; Second Battalion, East Yorkshire Regiment); Ninth Brigade (First Battalion, King’s Own Scottish Borderers; Second Battalion, Lincolnshire Regiment; Second Battalion, Royal Ulster Rifles); 185th Brigade (First Battalion, Royal Norfolk Regiment; Second Battalion, Royal Warwickshire Regiment; Second Battalion, King’s Shropshire Light Infantry). Fiftieth Division: Sixty-ninth Brigade (Fifth Battalion, East Yorkshire Regiment; Sixth and Seventh Battalions, Green Howards); 151st Brigade (Sixth, Eighth, Ninth Battalions, Durham Light Infantry); 231st Brigade (First Battalion, Dorsetshire Regiment; First Battalion, Hampshire Regiment; Second Battalion, Devonshire Regiment). Third Canadian Division: Seventh Brigade (Royal Winnipeg Rifles, Regina Rifle Regiment, First Battalion Canadian Scottish Regiment); Eighth Brigade (Queen’s Own Rifles of Canada; North Shore, New Brunswick, Regiment; Le Regiment de la Chaudière); Ninth Brigade (Highland Light Infantry; North Nova Scotia Highlanders; Stormont, Dundas and Glengarry Highlanders). Sixth Airborne Division: Third Parachute Brigade (Eighth and Ninth Battalions, Parachute Regiment; First Canadian Parachute Battalion); Fifth Parachute Brigade (Seventh Light Infantry Battalion; Twelfth Yorkshire Battalion; Thirteenth Lancashire Battalion); Sixth Air Landing Brigade (Twelfth Battalion, Devonshire Regiment; Second Battalion, Oxfordshire and Buckinghamshire Light Infantry; First Battalion, Royal Ulster Rifles). By 1944 the German WW2 armies fielded several types of infantry and armored divisions, and therefore different types of regiments. There were maneuver regiments and static (defensive) regiments, plus panzer, panzer grenadier (mechanized infantry), and parachute regiments. A representative infantry regiment had forty-five officers and 1,800 men, while a panzer regiment typically had seventy officers and 1,700 men, with a battalion of Mark IVs, and a battalion of Panthers. Panzergrenadier regiments might field ninety officers, 3,100 men, and 525 vehicles. The authorized strength of parachute regiments closely resembled grenadier units—ninety-six officers and 3,100 men. However, all the foregoing figures were according to formal tables of organization. In reality the German Army fought understrength and with less equipment than authorized at least from 1942 onward. The German Army was often misidentified in Anglo-American reports as the ‘‘Wehrmacht,’’ which in fact referred to the armed forces as a whole. The German word for ‘‘army’’ is Heer; the overall command of the Army was OKH, or Oberkommando des Heeres, at Zossen near Berlin. Oberkommando der Wehrmacht (OKW), which essentially was Hitler’s domain from 1938, remained under his direct control. Because the Wehrmacht was composed of the army, navy, air force, and Waffen SS units, Hitler’s interest and therefore loyalties were divided—in favor of the army. With his World War I experience, he felt that he understood land warfare, whereas he largely left the navy to competent professionals. His political partners, Hermann Göering and Heinrich Himmler, operated the air force and SS, respectively, mostly as they saw fit, but neither was wholly immune to the Führer’s influence and meddling. From an operating perspective, from 1941 onward OKW directed German fortunes in all fronts but Russia, which remained the special province of OKH. However, an organizational flaw limited the usefulness of the arrangement, because Hitler kept his Army commanders focused on operational rather than strategic concerns. The situation further deteriorated after Hitler, technically a civilian, appointed himself commander in chief of the Army, an act unprecedented in Prussian or German history. The German Army raised an incredible 315 infantry divisions during World War II—a stunning total, considering that America formed only sixty-six Army infantry divisions plus six for the Marine Corps. An additional eighteen or so Waffen SS infantry divisions augmented the Heer total. In 1939 most divisions comprised three regiments, each of three battalions—the ‘‘triangular’’ format adopted by the U.S. Amry in contrast to the previous ‘‘square’’ formations. Additionally German divisions had a reconnaissance squadron, an antitank and engineer battalion, and an artillery regiment totaling forty-eight guns of 105 and 155 mm. In contrast, by 1944 a representative German infantry regiment had two battalions, and an artillery regiment thirty-two guns. The deficit was partly offset by improved antitank and antiaircraft capability. However, by D-Day there was no longer a ‘‘standard’’ German infantry division. Manpower had been stretched to the limit, and units generally were brought up to strength (or near to it) only for important operations. Otherwise, new units often were formed rather than sending replacements to older ones. Germany also employed panzer grenadier divisions, which were essentially mechanized infantry. Each grenadier division nominally had adequate motor transport for the infantry and artillery, as well as an assigned tank battalion. However, even at its height the German Army was approximately 50 percent horse drawn, and the practical difference between panzer grenadiers and ‘‘straight leg’’ infantry dwindled considerably over time. Nowhere was the decline of the once invincible German Army better illustrated than in its armored component. A 1940 panzer division fielded 328 tanks of all types, with five mechanized infantry battalions plus engineer, antitank, and reconnaissance battalions. By comparison, in 1944 a full-strength panzer division owned about 160 tanks—half the 1940 figure—and four mechanized infantry battalions. Additionally, in 1944 divisional artillery comprised six batteries, nominally with forty-two 105 mm howitzers, eighteen 75 mm guns, and a dozen 150 mm. Despite an awesome numerical disparity in favor of both the Western and Soviet armies, the Heer often outfought its opponents. The primary reasons were threefold: a high degree of institutional experience; excellent leadership and training down to the unit level; and a combination of well integrated doctrine and first-class equipment. German tanks were technically superior to anything the United States or Britain fielded, and they could cope with the excellent Soviet T-34. Consequently, the numerical disadvantage faced by panzer units often was redressed by high-quality equipment and practiced skill. The German WW2 armies’s artillery was legendary, and though the dualpurpose 88 mm antiaircraft gun (equally successful against armor) got much of the attention, most German ‘‘tubes’’ were high quality and fired excellent ammunition. Eventually, however, the equally competent American and Russian artillery made their weight felt. Germany’s small arms, especially automatic weapons, were world class and played a key role in battlefield success. But leadership counted for more than equipment. Time and again the German Army was able to throw together elements of battered units from disparate sources and conduct surprisingly effective operations, usually holding or retrograde movements. The organization and conduct of such Kampfgruppen (battle groups) was so impressive that NATO commanders studied them during the Cold War. German divisions were smaller than their U.S. counterparts (12,769 at full strength versus 14,037) and contained 2,500 fewer riflemen, though much of the deficit was made up in automatic weapons. The American units had twice as many mortars and antitank guns, but German divisions possessed more and often better artillery. However, the Americans were far more mobile. The Waffen SS generally comprised experienced, wellequipped divisions that operated separately from the Army. SS divisions also were often larger than their Heer counterparts. Germany had ten panzer divisions in Normandy, including five from the Waffen SS. Most were experienced in the West and Russia. However, the average panzer division along the Atlantic Wall possessed merely seventy-five tanks. Owing to Allied deception measures, some German armored units failed to engage the Anglo-Americans until after D-Day. Hitler’s ‘‘bodyguard’’ was formed at Berlin in March 1933 with some 3,600 men but remained largely a political organization until the start of the war. Oberstgruppenfuhrer Josef Dietrich led the division as a panzer grenadier unit from 1 September 1939, attacking Poland, France, and the Low Countries. In April 1943 he was succeeded by Brigadeführer (brigadier general) Theodor Wisch, who remained until 20 August 1944. In October 1943, following combat in Russia and Italy, Leibstandarte was reorganized as a panzer unit. Wisch took First SS to Belgium during May 1944, bringing its strength up to 16,600 men. Leibstandarte fought in Normandy, where it was badly mauled by Allied air and ground forces in a counterattack near Mortain. Brigadeführer Wilhelm Mohnke assumed command after Wisch was wounded in August, then withdrew and re-formed the division in time to participate in the Ardennes offensive that winter. Transferred to the East, the division attempted to raise the siege of Budapest but failed. It finished its fighting in Hungary and Austria in 1945, where Brigadeführer Otto Kumm surrendered on 8 May. One of the three oldest tank units in the German Army, Second Panzer was formed at Wurzburg in 1935 under Generalmajor Heinz Guderian— one of the greatest armored commanders of all time. The division moved to Vienna following the Anschluss of 1938, and subsequently many Austrians were assigned. Under General der Panzer Truppen Rudolf Veiel, Second Panzer fought in Poland in 1939 and France in 1940. Returning eastward, it was committed to the Balkans and Russia in 1941, seeing almost constant combat. The division survived the epic battle of Kursk in the summer of 1943 and was withdrawn for rest and recuperation in France in 1944. Generalleutnant Heinrich Freiherr von Luttwitz took command of the division in February 1944. Soon after D-Day he launched an attack at Mortain; it failed against heavy opposition, and he withdrew. Part of the division escaped the Falaise pocket, regrouped in September, and participated in the Ardennes offensive that winter. By then Generalmajor Meinrad von Lauchert had taken over. By the end the command, under Oberst (Col.) Carl Stollbrock, had withered to four tanks, three assault guns, and some two hundred men, who surrendered to Allied troops at Plauen in April 1945. The future Second SS Panzer Division was formed from three SS regiments in October 1939. Its title changed over the next three years, becoming Das Reich in May 1942. It became a panzer grenadier division in November 1942, drawing from the Second SS Motorized Division, which had fought in the Balkans and Russia 1941–42. The division participated in the occupation of Vichy in 1942, returning to the Eastern Front in early 1943. Das Reich became a dedicated panzer division (the second in the SS) in October 1943 under Gruppenfuhrer (major general) Heinz Lammerding, who remained until July 1944. The division refitted in France beginning February 1944 and by June counted 20,100 troopers in its panzer regiment, two grenadier regiments, a self-propelled artillery regiment, and affiliated units. Standartenführer (colonel) Christian Tychsen briefly commanded until Brigadeführer Otto Baum took over on 28 July. Das Reich opposed Overlord, earning lasting condemnation for an atrocity conducted en route. At Oradour sur Glane, 250 miles south of Normandy, a company of the Der Führer Regiment killed 642 civilians in reprisal for French Resistance attacks and abduction of a German officer in the area. The town remains unrestored, in tribute to the victims. Withdrawn to Germany, Second SS played a leading role in the Ardennes offensive of late 1944, again under Lammerding. Subsequent operations were conducted in Hungary and Austria during 1945. Standartenfuhrer Karl Kreutz surrendered his command to the U.S. Army in May. During the war Das Reich troopers received sixty-nine Knight’s Crosses, a record for Waffen SS units. Ninth SS Panzer’s honorific was selected to recognize the Hohenstaufen dynasty of the Holy Roman Empire from 1138 to 1250. Notwithstanding its elite SS status, when formed in February 1943 it relied partly upon conscripts. Component units were the Ninth Panzer Regiment, Ninth and Twentieth Panzer Grenadiers, and Ninth Panzer Artillery. The original commander was Obergruppenfuhrer (lieutenant general) Willi Bittrich, from February 1943 to 29 June 1944. Committed to Russia in March 1944, Hohenstaufen helped free German forces from the Kamenets-Podolsk pocket the following month. As part of II SS Panzer Corps, the division was quickly transferred to the West in June, where Bittrich was succeeded by Oberfuhrer (between U.S. colonel and brigadier general) Thomas Muller who began a succession of short-lived leaders during July. Lacking 25 percent of its authorized strength in officers and noncoms, the division also faced a severe transport shortage— 345 cross-country trucks were on hand of the nearly 1,100 authorized. Road transport was somewhat more plentiful. No Mark V Panthers (Tanks, German) were available, so Hohenstaufen made do with Mark IVs. Hohenstaufen’s final commander was Brigadeführer (brigadier general) Sylvester Stadler, who assumed command in October 1944 and remained for the final seven months of the war. Tenth SS Panzer was raised as a panzer grenadier division in January 1943 and was designated a tank unit in October under Gruppenführer (major general) Lothar Debes. The division was sent to Russia in March 1944 and, like its sister division Ninth SS, participated in the Kamenets breakout in April. However, it returned to France in mid-June in response to the crisis in Normandy. Somewhat understrength, it counted approximately 15,800 men at the time of D-Day. Under Gruppenführer Heinz Harmel, who was to command the division for all but the final month of the war, by 24 June the division staff and advance elements had reached the Normandy assembly area, preparing to give battle the next day. Frundsberg fought at Arnhem (gaining a reputation for chivalry for its treatment of British POWs) and the West Wall. Returned eastward in February 1945, the division subsequently was withdrawn to Pomerania. In May, surrounded, it surrendered to the Soviets at Schonau in Saxony. Formed as a panzer grenadier unit in June 1943, Hitlerjugend was composed in large part of recruits from the Hitler Youth organization, most of them born in 1926. Under Brigadeführer Fritz Witt, leadership and training were provided by combat veterans of First SS Panzer, the elite Leibstandarte, and it proved a formidable combination. ‘‘HJ’’ was converted to a panzer division in October, its units based in France and Belgium. By 1 June the component regiments were Twelfth Panzer, Twenty-fifth and Twenty-sixth Panzer Grenadier, Third Artillery, and the usual recon and support units totaling 17,800 personnel. Witt was killed on 14 June, succeeded by the highly capable Sturmbannführer (Major) Kurt Meyer. Though relatively junior, Meyer was vastly experienced and was elevated to Brigadeführer upon assuming command of the division. He remained until November, when Brigadeführer Hugo Kraas received permanent command. With a lethal mix of SS combat experience directing teenage Nazi enthusiasm, Twelfth SS Panzer became extraordinarily effective. The division gained a fearsome reputation against the Canadians in Normandy, fighting nearly to destruction. However, its reputation was badly marred by incidents in which Allied prisoners were murdered—often the acts of young soldiers imbued with nationalist fervor from age ten onward. Hitlerjugend survivors were withdrawn to Bremen for recuperation and rebuilding, and HJ was ready for the Ardennes offensive in December. It finished the war fighting in Hungary and Austria. By then merely 450 youngsters of the original 21,300 remained in the division. Formed as the Fifth Light Division in early 1941, it became a tank unit in July. The Twenty-first fought in North Africa 1941–43 and was destroyed in the Tunisian collapse of May 1943. Generalleutnant Edgar Feuchtinger reestablished the division in France in July of that year, but it saw no combat until June 1944. Feuchtinger’s division had no Mark V Panther battalion, being wholly reliant upon Mark IVs, but possessed more than a hundred of the latter. Additional assets included an assault gun battalion and antitank battalion with towed 88 mm guns. Personnel had reached nearly full strength, with 16,300 officers, NCOs, and men. The Twenty-first counterattacked against the British sector but sustained heavy losses, including fifty-four tanks. Throughout June the division sustained 1,250 killed or missing and 1,600 wounded. Later combat occurred at the West Wall before transfer to the Eastern Front in January 1945. The last commander was Generalleutnant Werner Marcks, who surrendered in April. A new unit, the 116th was raised in March 1944 by converting the Sixteenth Panzer Grenadier Division. Its first combat came in Normandy under General der Panzer Truppen Gerhard Graf (Count) von Schwerin, an Afrika Korps veteran. The division was based in western France but hastened to the Pas de Calais under the expectation that Normandy was a feint. Consequently, the 116th did not engage the Allies until July, in the massive tank battle for Mortain. 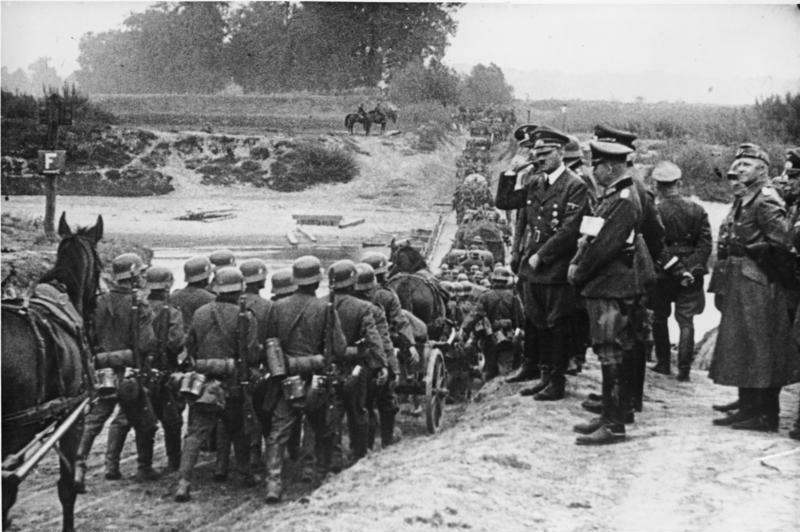 The division withdrew with most other German units in August. Generalmajor Siegfried von Waldenburg assumed command in September, remaining for the duration of the war. He directed subsequent operations in the Ardennes offensive. The division was trapped in the Ruhr pocket April 1945. Panzer Grenadier Lehr, 130th Panzer Lehr, and 130th Panzer Artillery Regiments, plus affiliated antitank, engineer, and reconnaissance battalions. However, many of the original units were transferred out or redesignated before D-Day. Well supplied and manned, in May 1944 Lehr had 449 officers and 14,185 men, 183 tanks, 612 halftracks, 58 antitank guns, and 53 artillery pieces. The tanks were nearly all the excellent Mark V Panther, and Lehr was one of only two Army divisions with a Mark VI Tiger battalion. After assignment to Obergruppenführer (lieutenant general) Josef Dietrich’s I SS Panzer Corps, Lehr was stationed in the Chartre-LeMansOrleans area. Consequently, the division was some eighty miles from the invasion beaches on 6 June; it was obliged to make a difficult and costly run to the coast. Though the division lost only five tanks on the way, it wrote off or abandoned eighty-four other armored vehicles and 130 trucks or transport vehicles. In subsequent combat against Allied forces west of Caen, notably against the British Seventh Armoured Division, Lehr inflicted losses on the enemy but withdrew to protect its flanks. On 8 June Bayerlein was wounded in an air attack and turned over to a nobleman, Generalmajor Hyazinth Graf (Count) von Strachwitz. The aggressive Silesian attacked west of Caen on the morning of the ninth, in company with Twenty-first Panzer and Twelfth SS Panzer Divisions. The attack was unsuccessful owing to a British flanking movement, and another attempt the next day was countered by effective naval gunfire. Dietrich’s corps withdrew to defensive positions on the 11th. Lehr suffered more at the hands of Allied airmen during Operation Cobra, when a massive Eighth Air Force bombing attack saturated the area on 25 July. Strachwitz estimated that 70 percent of his troops were killed, wounded, or stunned into ineffectiveness (the same attack, however, killed Lt. Gen. Leslie McNair, commander of U.S. Army Ground Forces). Count Strachwitz departed on 23 August, succeeded by three commanders during September before Bayerlein resumed command, to remain through the Ardennes offensive until January 1945. Oberst Paul Freiherr von Hauser was in command when Panzer Lehr was finally trapped in the Ruhr pocket in April 1945. Named for a sixteenth-century Teutonic baron, the division was established in October 1943 with many Volksdeutsche, or ethnic Germans. Its composition was two grenadier regiments and an artillery regiment; a tank component existed only in name. On D-Day the division was commanded by Russia veteran Oberführer Werner Ostendorff, who disposed of 17,300 men but possessed only 60 percent of the required officers and noncoms. There was precious little equipment and almost no transport. The panzer battalion had no tanks, and the division possessed only thirty-seven selfpropelled guns. Advance elements clashed with the British Seventh Armoured Division near Littry shortly after D-Day, and the grenadiers fought an unsuccessful holding action for Carentan on D+6. Driven out with the Sixth Parachute Division, Ostendorff ’s troops unsuccessfully attempted to recapture the city from U.S. parachutists and elements of the Second Armored Division. (The action was well portrayed in Band of Brothers.) Ostendorff was badly wounded on 15 June, and the Seventeenth was steadily repulsed to Paris, then Metz, then through Alsace. On VE-Day most of the division surrendered near Achensee. Thirty-eight German infantry divisions were deployed in Normandy, including five static divisions for coastal defense. It is significant that among the ‘‘mobile’’ formations, authorized strength was 615 motor vehicles and 1,450 horse-drawn—70 percent operating on muscle power and 30 percent ‘‘horsepower’’! The infantry total included several Luftwaffe formations: parachute, field, and air-landing divisions. Defending Normandy was the Seventh Army under Col. Gen. Friedrich Dollmann. He placed three divisions (243d Air Landing, 709th and 716th Infantry) on the Calvados coast and Cotentin Peninsula, backed by two counterattack units, the Ninety-first Air Landing and 352d Infantry Divisions. Gen. Erich Marcks’s LXXXIV Corps defended a 250-mile coastal area with five divisions. The 716th covered fifty-five miles, backed by the 243d and 352d. The 319th Infantry Division was essentially idle on the Channel Islands. 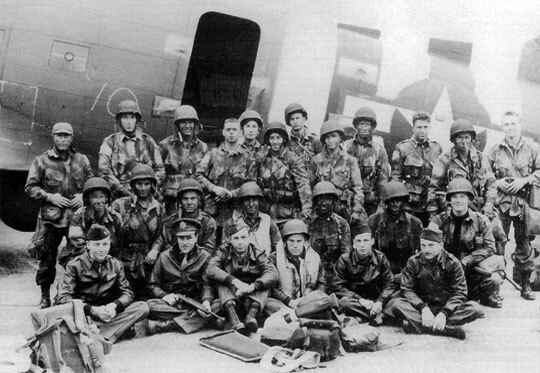 Deployed at the west end of the Utah Beach sector, the 709th was reasonably well staffed, with eleven battalions in three regiments: the 729th, 739th, and 919th. The first two included the 649th Ost Battalion and 795th Georgian Battalion, respectively, with conscripts from the East. The division also deployed the 1709th Artillery Regiment. D-Day. In December 1943 Generalleutnant (U.S. major general) KarlWilhelm von Schlieben assumed command and took the division to France. A company commander in the first war, he was twice wounded in action. Between the wars he had served in infantry, cavalry, and staff positions. From 1940 onward he commanded infantry and armored formations, including the Eighteenth Panzer Division. The 919th was the primary defender of Utah Beach, opposing the landing of the Fourth Infantry Division. On 23 June Field Marshal Erwin Rommel named von Schlieben commander of ‘‘Fortress Cherbourg,’’ and the division later capitulated there. The area inland and northwest of Utah Beach was occupied by one of the numerous Luftwaffe formations. With the 243d Air Landing Division, the Ninety-first constituted part of the mobile reserve on the Cotentin Peninsula. The division had been established under Generalleutnant Bruno Ortner in February 1944, but Generalmajor Wilhelm Falley assumed command on 25 April. He owned the 1057th and 1058th Grenadier Regiments with the Sixth Parachute Regiment attached, a well-equipped unit composed of troops averaging 17.5 years of age. Major Friedrich Freiherr von der Heydte, one of his subordinates, proved controversial, being criticized for excessively independent action (having taught law in New York, he treated captured GIs with remarkable civility). On D-Day Falley was attending a planning meeting in Rennes; rushing back to his command he was killed by U.S. paratroopers. Command fell successively to Oberst Eugen Koenig and Generalmajor Bernhard Klosterkemper. Released to Seventh Army, the division put up stiff resistance around Carentan but made slow progress in counterattacking elsewhere. The division was disbanded in August. Generalleutnant Dietrich Kraiss’s 352d Division defended the Omaha Beach area. Kraiss was an experienced combat soldier; he had been a company commander in World War I and had led a division into Russia in 1941. The 352d had been formed at Hanover in November 1943 from veterans of three grenadier regiments and fleshed out with replacements, including some Czech conscripts. Kraiss deployed the division’s own 914th, 915th, and 916th Regiments plus the 726th, attached from 716th Division, minus one battalion. He also possessed the 352d Artillery Regiment. Though the 352d was one of the few full-strength divisions in France, its presence was not detected soon enough by Allied intelligence to benefit the assault divisions. The 352d had arrived in mid-March, and according to legend the one French carrier pigeon carrying a report of its arrival was shot by a German soldier. Major Werner Pluskat, the division artillery officer, may have been the first German to sound the alarm on 6 June. He called his regimental commander and the 352d’s intelligence officer, describing hundreds of Allied aircraft passing overhead—a scene in The Longest Day. The First Battalion of the 914th attacked the Rangers and First Infantry Division at St. Pierre du Mont, southeast of the precipice at Pointe du Hoc. American mortars and naval gunfire repelled the 352d’s soldiers, though the Rangers sustained heavy casualties. Kraiss withdrew his division the next day, counting some 1,200 casualties. The 352d effectively ceased to exist in July, though Kraiss commanded until 2 August. He died of wounds near Saint Lo. Based around Caen, opposing the British and Canadian landings at Juno and Sword beaches. In April 1943 Generalleutnant Wilhelm Richter assumed command as a static division comprised of replacement units. He was succeeded by Generalmajor Ludwig Krug in May, before Richter returned on 10 June 1944. Military engineering has a long and varied history, dating at least as far back as the Roman Empire. In the Middle Ages castle design and construction became recognized military specialties, and sieges of castles and cities were the responsibility of engineers. The curriculum of the U.S. Military Academy at West Point, New York, was heavily oriented toward engineering throughout the nineteenth century. In the twentieth century, advancing technology required increasing specialization for military engineers. The design and construction of the Atlantic Wall was one of the major engineering feats of the 1940s, with considerable planning involved not only in the concrete bunkers and fighting positions but in the beach obstacles as well. Design and placement of mines also involved engineering specialists. For the Allies, an even greater variety of engineering effort was required for D-Day. At the strategic level, the concept of mobile harbors absorbed the attention of British and American engineers. The British WW2 armies’ Royal Engineers and the U.S. Navy’s Construction Battalions, or Seabees, were intimately involved in the Mulberries, as well as of Pluto, the underwater pipeline providing fuel to the Allied armies in Normandy. At the tactical level, an extraordinary variety of engineering projects was required for Overlord. They included development of specialized vehicles such as the ‘‘funnies,’’ which were modifications of existing vehicles, including tanks, to defeat German minefields or to cross antitank ditches. The First Engineer Special Brigade in England drew upon the war’s previous amphibious operations for D-Day training. Though the U.S. Army and Marine Corps had extensive experience in the Pacific Theater of Operations, the ETO hierarchy felt little need to query its counterparts after successful landings in North Africa, Sicily, and Italy. Consequently, British and American engineers drew on those earlier operations to perfect such techniques as beach reconnaissance and mapping, mine detection and clearing, battlefield demolition, and beachhead traffic control. A U.S. Army engineer officer, Lt. Col. Paul Thompson, ran the Assault Training Center, which prepared the troops for combat on D-Day. Without the enormous contribution of all manner of army, navy, and Allied engineers, Overlord would not have been possible. Too few people respect Canada’s enormous contribution to D-Day. Canadians fought as part of the British Commonwealth, as they were a satellite nation of theirs at the time; therefore, they were equipped with the same weapons as the British Army. But being quasi-independent and across an ocean meant they also drew on American experience and equipment. During World War II Canada absorbed more than one million personnel for the armed forces, including 766,491 men and 25,252 women for the WW2 armies. However, Canada’s commitment to the European war was seldom taken for granted. The government of W. L. M. King, elected in 1935, was reluctant to send large numbers of troops to a repetition of the Great War, which had resulted in forty-two thousand killed and fifty-three thousand wounded from a total of 1,086,000 in uniform. Nevertheless, Ottawa approved mobilization on the day Germany invaded Poland, and Canada declared war on the 10th. The Empire training scheme was expanded, and existing troops were deployed to Britain in response to requests from London. Subsequently, in early 1940 King was reelected on the basis of no conscription for overseas service. The National Resources Mobilisation Act prohibited conscripts from being sent overseas, but eventually the demand overcame Canadian reluctance. By the following year planners had drafted preparations for fielding two corps totaling four infantry and two armored divisions, plus support troops. By war’s end the First Canadian Army was composed of six infantry and four armored divisions plus two tank and two artillery brigades, while other formations served in non-Canadian commands. After the Japanese attack on Hawaii in December 1941, the national mood largely changed. Recognizing the potential threat to its Pacific coast, the King government sought a referendum permitting drafting of military personnel for service abroad. In April 1942 the English-speaking sector of the electorate handily approved the measure; the province of Quebec rejected it by nearly 75 percent. Though the English majority held sway, actual conscription for deployment was not acted upon until late 1944. The Canadian Second Division had nearly been destroyed in the Dieppe landing of August 1942, and that incident loomed large in the consciousness of Canadian and British leaders alike. At a time when Britain itself was strapped for manpower, reliance upon the Dominion was probably unavoidable. Nevertheless, many Canadians bitterly resented the appearance that the ‘‘Brits’’ were again sending ‘‘the colonials’’ on high-risk assignments. One factor often overlooked, however, was that the Canadians were trained for amphibious operations, while many British divisions were not. At the end of 1943 the Canadian Army had some 250,000 men overseas, including a major segment in Italy. The Canadians had also been engaged in the seizure of Sicily that summer. By June 1944 the army numbered 417,800 General Service personnel plus 65,800 drafted under the National Resources Mobilisation Act—men retained for service at home. The most successful Allied unit on D-Day, the Third Canadian Infantry Division landed on Juno Beach under Maj. Gen. R. F. L. Keller. He was succeeded by Maj. Gen. D. C. Spry on 8 August. Comprising three brigades, the division was generally organized along the British model but with some regional differences. • Seventh Infantry Brigade: Brig. H. W. Foster. • Eighth Infantry Brigade: Brig. K. G. Blackader. • Ninth Infantry Brigade: Brig. D. G. Cunningham. The fifteen thousand Canadian troops who landed on D-Day represented about 20 percent of the total Allied force. They sustained 359 killed and 715 wounded on 6 June, from a total 5,400 killed in the Normandy campaign. Operating with the Third Infantry Division, the tank component of the Juno assault force numbered some 3,500 men. The main elements were the Sixth, Tenth, and Twenty-seventh Armoured Regiments, operating American-built Sherman tanks. Each four-tank troop included an ‘‘upgunned’’ Firefly with a seventeen-pounder gun, a 76 mm weapon more effective against German armor than was the standard 75 mm gun. The overriding concern of the British Army in 1944 was manpower. After four years of war and enormous drain not only on the nation but upon the Commonwealth, it was increasingly difficult to maintain an adequate pool of able-bodied men. Consequently, the British armed forces, and especially the army, needed to keep casualties as low as possible. It was a difficult situation, especially in the face of determined, highly capable German opposition. The ability and willingness of the Americans to absorb losses probably was the major difference between the two greatest Western Allied powers. In 1944 the nominal strength of a British infantry division (seldom achieved) was 18,347 men, including officers. It compared in size to the standard U.S. Army division but had less transport. The British division also differed in its organizational structure. Despite three centuries of institutional continuity in some regiments, very few regimental units fought as such. Rather, independent or quasi-independent battalions from different regiments were brought together to form the equivalent of an American regiment. Many British regiments had only one or two battalions, while some had as many as eight or more flung across the globe. The deficit was in some ways made up with a standard organization of four companies per battalion rather than the Americans’ three. With attached supporting arms, British brigades more closely resembled American regimental combat teams, with organic armor and artillery battalions. Sword Beach, Maj. Gen. T. G. Rennie. In addition to the division’s three composite brigades, the Twenty-seventh Armoured Brigade was attached. • Eighth Brigade: Brig. E. E. Cass. • Ninth Brigade: Brig. J. C. Cuningham. • 185th Brigade: Brig. K. P. Smith. • Twenty-seventh Armoured Brigade: Brig. G. E. Prior-Palmer. Commanded by Maj. Gen. Richard Gale. The division included the Third and Fifth Parachute Brigades and Sixth Airlanding Brigade, each with three battalions. The Third Parachute Brigade included the First Canadian Parachute Battalion. The airlanding brigade comprised one battalion each of the Devonshire, Oxford, and Buckinghamshire Light Infantry, and Royal Ulster Rifles. • Glider Pilot Regiment: Brig. George Chatterton. • Third Parachute Brigade: Brig. James Hill. • Fifth Parachute Brigade: Brig. Nigel Poett. • Sixth Airlanding Brigade: Brig. the Hon. Hugh Kindersley. Gold Beach, Maj. Gen. D. A. H. Graham. During the Normandy campaign the 151st Brigade (three battalions of the Durham Light Infantry) sustained particularly notable casualties including two commanders in barely two weeks. Brigadier R. H. Senior was wounded on D-Day and Brigadier B. B. Walton on 16 June. • Sixty-ninth Brigade: Brig. F. Y. C. Cox. • 151st Brigade: Brig. R. H. Senior, B. B. Walton. • 231st Brigade: Brig. A. G. B. Stanier Bart. • Eighth Armoured Brigade: Brig. Bernard Cracroft. Maj. Gen. Sir Percy C. S. Hobart commanded the primary British tank force in Normandy. His division was composed of the First Tank Brigade, Thirtieth Armoured Brigade, and First Assault Brigade, composed of Royal Engineer units. The First Canadian Armoured Personnel Carrier Regiment was attached. Independent brigades of Thirty-first Army Group included Fourth Armoured, Sixth Guards Tank, Eighth Armoured, Thirty-first Tank, Thirtythird Armoured, Thirty-fourth Tank, Fifty-sixth Infantry Brigade, First and Second Special Service Brigade, and Second Canadian Armoured. Commanded by the charismatic Brigadier Simon Fraser, Lord Lovat, the First Special Service Brigade was formed specifically for the Normandy landings. Its components were Nos. 3, 4, and 6 Commandos of the British Army, No. 45 Royal Marine Commando, and part of No. 10 Interallied Commando, mainly comprised of Free French troops. The brigade’s total strength amounted to some 2,500 men. Landing on Sword Beach, Lovat’s forces advanced through lines held by the Third Division’s Eighth Brigade. The commandos’ main objective was relief of the British Sixth Airborne Division, which had seized vital bridges over the Orne River. On 7 June Lovat’s marines attacked east of the Orne Estuary, while No. 3 Commando assaulted the Merville Battery of coastal defense guns. Both efforts were repulsed, but the brigade ceded little ground to determined counterattacks. Repeated thrusts were made by German armor, including the Twenty-First Panzer Division. The commandos seized Breville on D+6, and though Lovat was badly wounded, the eastern flank of the landing beaches had been secured. The brigade was withdrawn after ten weeks in combat, sustaining nearly a thousand casualties.